Living near oil and gas infrastructure puts communities at risk of being exposed to air pollution linked to heart and lung disease, pregnancy complications, cancer, and more. Yet our government is doing nothing to keep us safe, in fact it’s actively working to do the opposite. 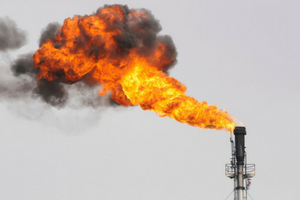 Secretary of the Interior Ryan Zinke has put forward a proposal to weaken protections against methane pollution, benefiting no one but his friends in the fossil fuel industry. Secretary Zinke is moving us backwards. This proposal means a continued waste of taxpayer dollars and American energy. We should be strengthening protections cut waste and pollution, not weakening them to suit the needs of the fossil fuel industry. Tell Ryan Zinke today — we must protect our communities over polluters. I am writing today in strong opposition to BLM's recent proposal to weaken crucial methane waste protections. As a young American, weakening the limits on the amount of methane pollution that the oil and gas industry is allowed to vent, leak and burn, puts my future at risk. It means a continued waste of taxpayer dollars and precious resources. It means exposing communities to catastrophic health risks including heart and lung disease, pregnancy complications, cancer, and more. Our voices must be heard, yet we have not been given opportunity to speak out. Please establish public hearings across Western states so Americans impacted by this proposal can give their crucial input. This proposal will not move us forward. Please leave in place the current methane pollution limits that effectively protect the health and safety of American communities.